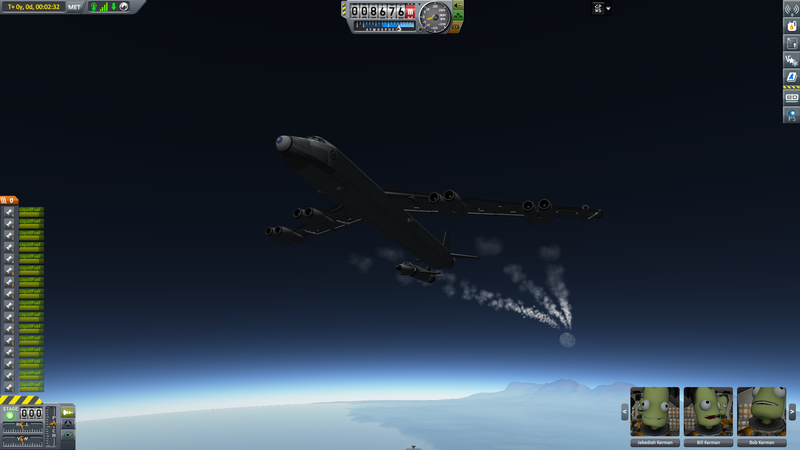 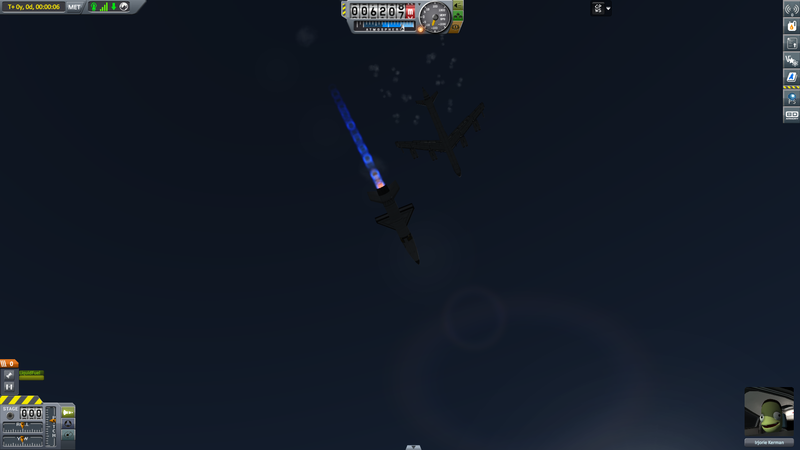 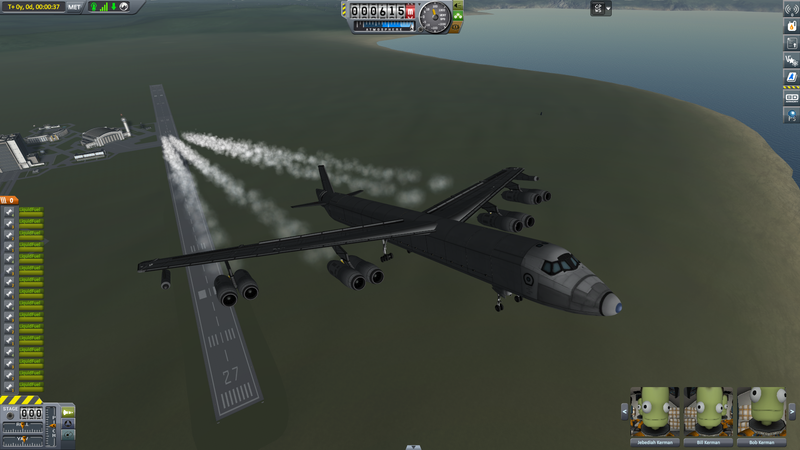 The B-52B is the answer to all your upper atmosphere experimental needs, strategic bombing or extreme long range capabilities, with cargo room for expansion of fuel supplies or other cargo. 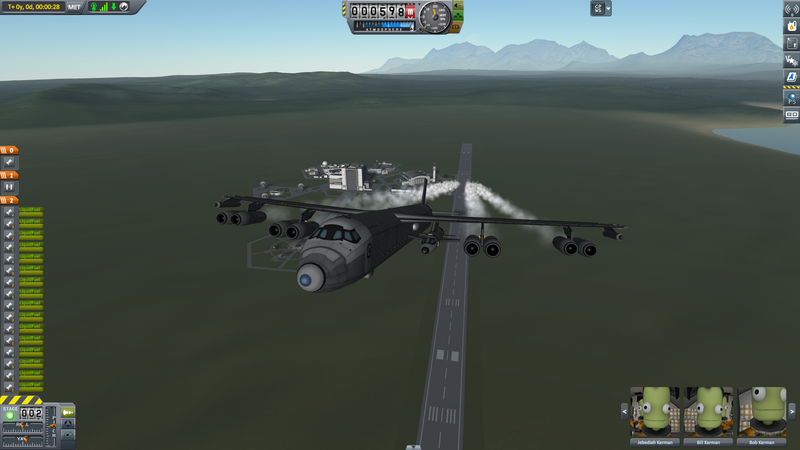 Comes complete with full working fowler flaps, slats and spoilers.Features two expansion pylons on under-side of the main wings, featuring a X-15 styled supersonic craft for your testing enjoyment (of course this can be fully removed to restore 100% CoM and retrofit other crafts or equipment. 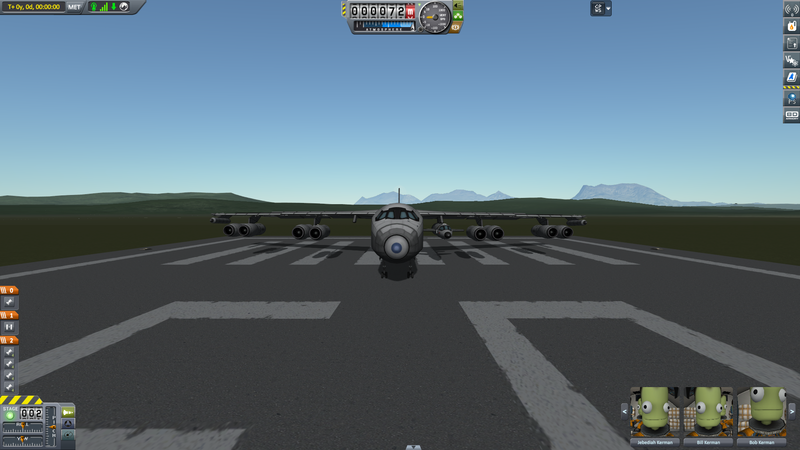 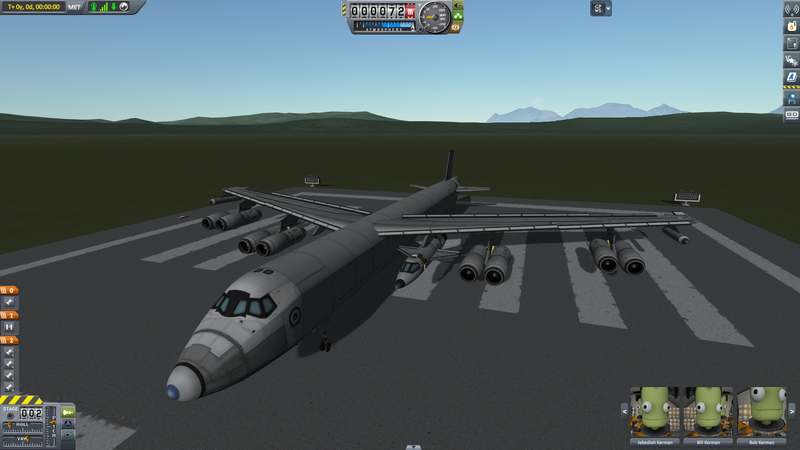 A stock aircraft called B-52B. 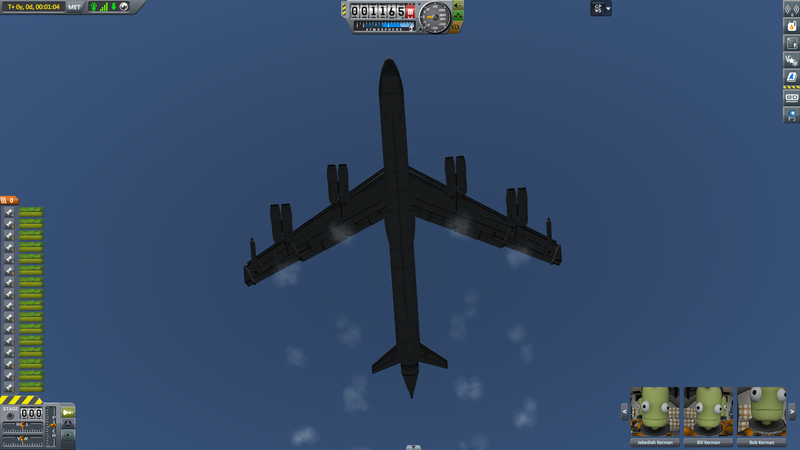 Built with 366 of the finest parts, its root part is mk3Cockpit.Shuttle.